These images show a reduction in the number of macrophages infiltrating atherosclerotic plaques (in green) in animals treated with the IRE1 inhibitor. 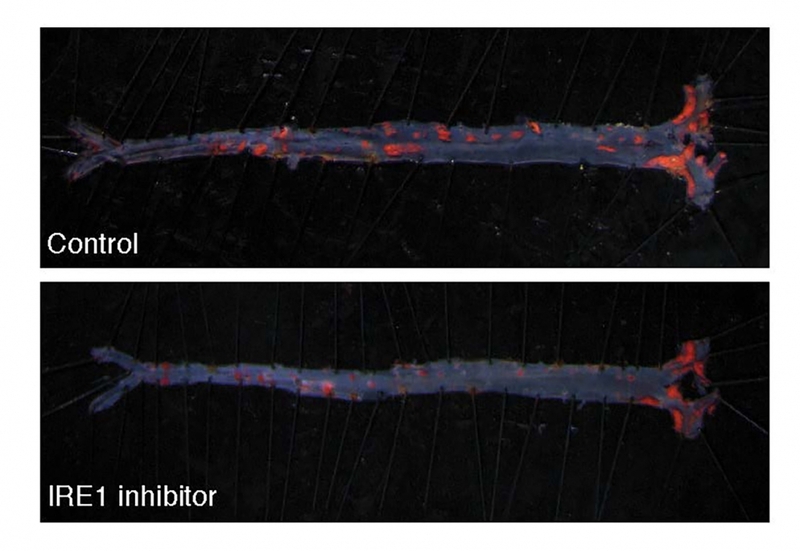 This shows a reduction in atherosclerotic lesions in the aorta of mice (in red) when treated with the IRE1 inhibitor. In the ancient Japanese art of origami, paper must be folded precisely and following a specific order to create the desired result — say, a crane or lotus flower. It’s a complex pursuit that requires keen attention to detail and utmost accuracy. An equally precise biological process in living cells gives rise to proteins, the large biomolecules essential for life. Proteins begin life as long strings of amino acids that must fold into the three-dimensional shape prescribed for their particular biological function. When proteins don’t fold as expected — think badly misshapen crane — the cells activate stress responses meant to mitigate the problem. But severe or prolonged stress produces an acute response: Cell death is triggered to protect the organism. Sustained activation of one such reaction — the unfolded protein response, or UPR — has been implicated in a number of diseases. 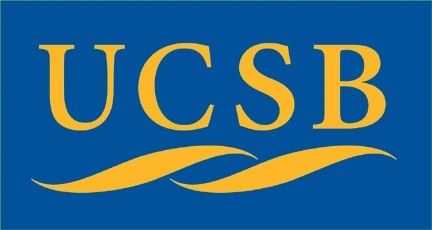 Seeking to illuminate a piece of this biological puzzle, an international team of scientists, including UC Santa Barbara cell biologist Diego Acosta-Alvear, examined the role of a central UPR component, a stress sensor protein called IRE1 (inositol-requiring enzyme 1), in atherosclerosis. The researchers found that blocking IRE1 with a small molecule prevented the progression of atherosclerosis in mice. The findings appear in the Proceedings of the National Academy of Sciences. The UPR is triggered when the normal functions of the endoplasmic reticulum — the cell’s largest organelle in charge of making and folding proteins — are compromised. Though the UPR usually promotes healthy endoplasmic reticulum function, sustained UPR activation sometimes results in diseases such as atherosclerosis, the deposition of fatty plaques on artery walls, among other conditions. Understanding what happens with the UPR in disease is key to illuminating the normal operation of this essential pathway — and to providing insights into the development of targeted therapies. Endoplasmic reticulum stress is triggered not only by protein-folding problems, but also by fatty acids, explained Acosta-Alvear. Fat-induced stress and metabolic overload of the endoplasmic reticulum can alter its function, triggering chronic inflammation, which plays an important role in the development of atherosclerosis. In this research, the scientists disturbed endoplasmic reticulum function by introducing saturated fatty acids into cells to induce lipotoxic stress. This in turn activated the UPR and IRE1. Active IRE1 relays the protein-folding stress information to the cell nucleus by controlling the production of a very potent transcription activator, XBP1 (X-box binding protein-1). Transcription activators are proteins involved in the process of converting, or transcribing, DNA into RNA. The investigators’ analyses demonstrated that XBP1 was responsible for turning on pro-atherogenic genes. They then treated mice with a compound that blocked IRE1. The family, under promise of anonymity, is taking part in a study by Dr. Mundlos and his colleagues of the origin and development of limb malformations. 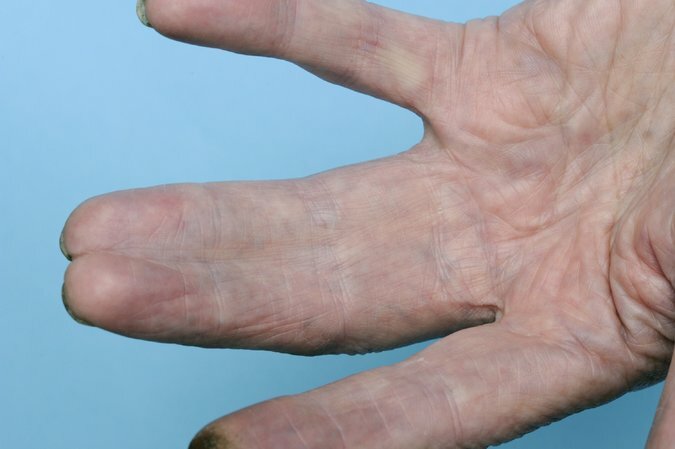 And while the researchers cannot yet offer a way to prevent syndactyly, or to entirely correct it through surgery, Dr. Mundlos has sought to replace the notion of a family curse with “a rational answer for their condition,” he said — and maybe a touch of pioneers’ pride. The scientists have traced the family’s limb anomaly to a novel class of genetic defects unlike any seen before, a finding with profound implications for understanding a raft of heretofore mysterious diseases. The mutations affect a newly discovered design feature of the DNA molecule called topologically associating domains, or TADs. It turns out that the vast informational expanse of the genome is divvied up into a series of manageable, parochial and law-abiding neighborhoods with strict nucleic partitions between them — each one a TAD. Breach a TAD barrier, and you end up with the molecular equivalent of that famous final scene in Mel Brooks’s comedy, “Blazing Saddles,” when the cowboy actors from one movie set burst through a wall and onto the rehearsal stage of a campy Fred Astaire-style musical. Soon fists, top hats and cream pies are flying. 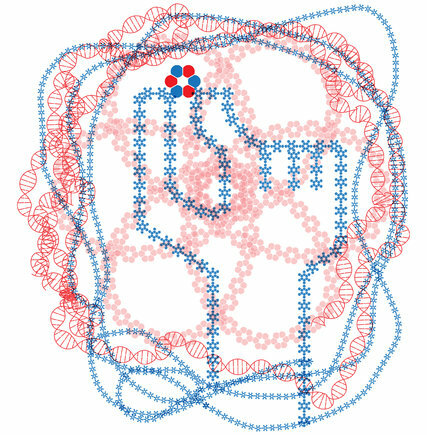 By studying TADs, researchers hope to better fathom the deep structure of the human genome, in real time and three dimensions, and to determine how a quivering, mucilaginous string of some three-billion chemical subunits that would measure more than six-feet long if stretched out nonetheless can be coiled and compressed down to four-10,000ths of an inch, the width of a cell nucleus — and still keep its operational wits about it. For much of the past 50 years, genetic research has focused on DNA as a kind of computer code, a sequence of genetic “letters” that inscribe instructions for piecing together amino acids into proteins, which in turn do the work of keeping us alive. Most of the genetic diseases deciphered to date have been linked to mishaps in one or another protein recipe. Scanning the DNA of patients with Duchenne muscular dystrophy, for example, scientists have identified telltale glitches in the gene that encodes dystrophin, a protein critical to muscle stability. At the root of Huntington’s disease, which killed the folk singer Woody Guthrie, are short, repeated bits of nucleic nonsense sullying the code for huntingtin, an important brain protein. The mutant product that results soon shatters into neurotoxic shards. Yet researchers soon realized there was much more to the genome than the protein codes it enfolded. “We were caught up in the idea of genetic information being linear and one-dimensional,” said Job Dekker, a biologist at the University of Massachusetts Medical School. For one thing, as the sequencing of the complete human genome revealed, the portions devoted to specifying the components of hemoglobin, collagen, pepsin and other proteins account for just a tiny fraction of the whole, maybe 3 percent of human DNA’s three billion chemical bases. And there was the restless physicality of the genome, the way it arranged itself during cell division into 23 spindly pairs of chromosomes that could be stained and studied under a microscope, and then somehow, when cell replication was through, merged back together into a baffling, ever-wriggling ball of chromatin — DNA wrapped in a protective packaging of histone proteins. What was the link, scientists wondered, between the shape and animation of the DNA molecule at any given moment, in any given cell — and every cell has its own copy of the genome — and the relative mouthiness or muteness of the genetic information the DNA holds? 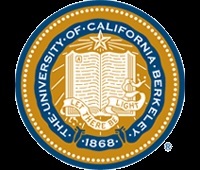 “We realized that in order to understand how genetic information is controlled, we had to figure out how DNA was folded in space,” said Bing Ren of the University of California, San Diego. Using a breakthrough technology developed by Dr. Dekker and his colleagues called chromosome conformation capture, researchers lately have made progress in tracking the deep structure of DNA. In this approach, chromatin is chemically “frozen” in place, enzymatically chopped up and labeled, and then allowed to reassemble. The pieces that find each other again, scientists have determined, are those that were physically contiguous in the first place — only now all their positions and relationships are clearly marked. Through chromosome conformation studies and related research, scientists have discovered the genome is organized into about 2,000 jurisdictions, and they are beginning to understand how these TADs operate. As with city neighborhoods, TADs come in a range of sizes, from tiny walkable zones a few dozen DNA subunits long to TADs that sprawl over tens of thousands of bases and you’re better off taking the subway. TAD borders serve as folding instructions for DNA. 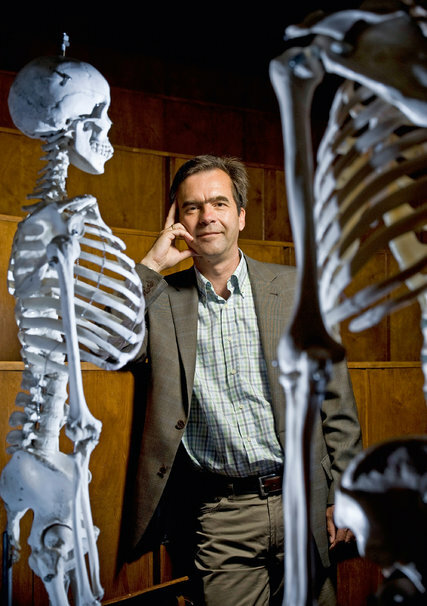 “They’re like the dotted lines on a paper model kit,” Dr. Dekker said. TAD boundaries also dictate the rules of genetic engagement. Scientists have long known that protein codes are controlled by an assortment of genetic switches and enhancers — noncoding sequences designed to flick protein production on, pump it into high gear and muzzle it back down again. The new research indicates that switches and enhancers act only on those genes, those protein codes, stationed within their own precincts. Because TADs can be quite large, the way the Upper West Side of Manhattan comprises an area of about 250 square blocks, a genetic enhancer located at the equivalent of, say, Lincoln Center on West 65th Street, can amplify the activity of a gene positioned at the Cathedral of St. John the Divine, 45 blocks north. But under normal circumstances, one thing an Upper West Side enhancer will not do is reach across town to twiddle genes residing on the Upper East Side. What exactly do these boundaries consist of, that manage to both direct the proper folding of the DNA molecule and prevent cross talk between genes and gene switches in different domains? Scientists are not entirely sure, but preliminary results indicate that the boundaries are DNA sequences that attract the attention of sticky, roughly circular proteins called cohesin and CTCF, which adhere thickly to the boundary sequences like insulating tape. Between those boundary points, those clusters of insulating proteins, the chromatin strand can loop up and over like the ribbon in a birthday bow, allowing genetic elements distributed along the ribbon to touch and interact with one another. 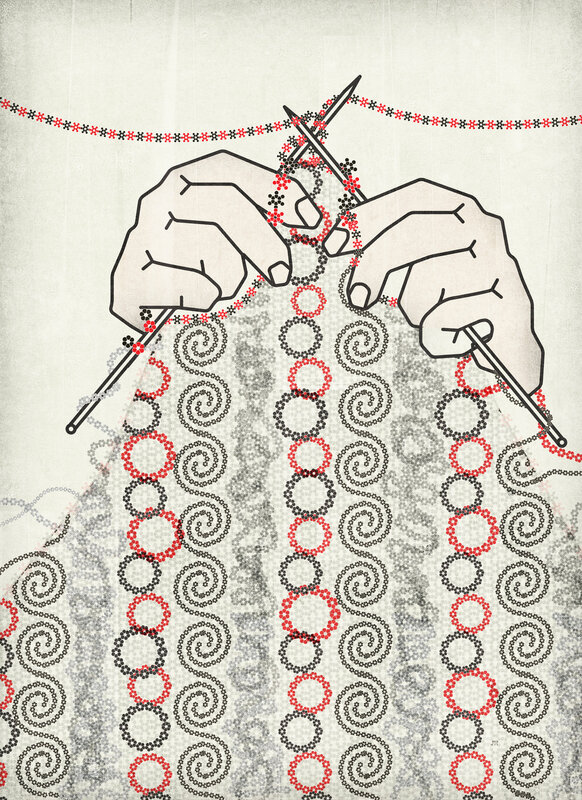 But the insulating proteins constrain the movement of each chromatin ribbon, said Richard A. Young of the Whitehead Institute for Biomedical Research, and keep it from getting entangled with neighboring loops — and the genes and regulatory elements located thereon. The best evidence for the importance of TADs is to see what happens when they break down. Researchers have lately linked a number of disorders to a loss of boundaries between genomic domains, including cancers of the colon, esophagus, brain and blood. In such cases, scientists have failed to find mutations in any of the protein-coding sequences commonly associated with the malignancies, but instead identified DNA damage that appeared to shuffle around or eliminate TAD boundaries. As a result, enhancers from neighboring estates suddenly had access to genes they were not meant to activate. Reporting in the journal Science, Dr. Young and his colleagues described a case of leukemia in which a binding site for insulator proteins had been altered not far from a gene called TAL1, which if improperly activated is known to cause leukemia. In this instance, disruption of the nearby binding site, Dr. Young said, “broke up the neighborhood and allowed an outside enhancer to push TAL1 to the point of tumorigenesis,” the production of tumors. Now that researchers know what to look for, he said, TAD disruptions may prove to be a common cause of cancer. The same may be true of developmental disorders — like syndactyly. 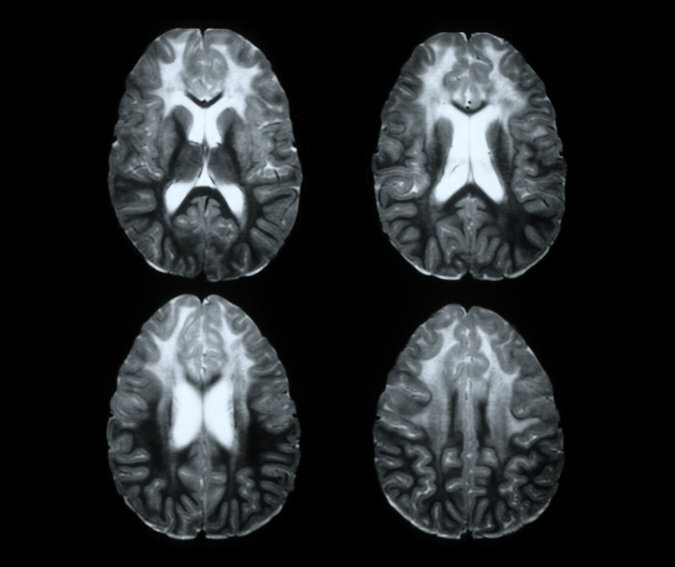 In journals like Cell and Nature, Dr. Mundlos and his co-workers described their studies of congenital limb malformations in both humans and mice. The researchers have detected major TAD boundary disruptions that allowed the wrong control elements to stimulate muscle genes at the wrong time and in the wrong tissue. We’ve come out with a breakthrough paper in Science titled ‘De novo design of protein homo-oligomers with modular hydrogen-bond network-mediated specificity’. See the full article here or here . Rosetta@home needs your help to determine the 3-dimensional shapes of proteins in research that may ultimately lead to finding cures for some major human diseases. By running the Rosetta program on your computer while you don’t need it you will help us speed up and extend our research in ways we couldn’t possibly attempt without your help. You will also be helping our efforts at designing new proteins to fight diseases such as HIV, Malaria, Cancer, and Alzheimer’s (See our Disease Related Research for more information). Please join us in our efforts! Rosetta@home is not for profit. One of the major goals of Rosetta is to predict the shapes that proteins fold up into in nature. Proteins are linear polymer molecules made up of amino acid monomers and are often refered to as “chains.” Amino acids can be considered as the “links” in a protein “chain”. Here is a simple analogy. When considering a metal chain, it can have many different shapes depending on the forces exerted upon it. For example, if you pull its ends, the chain will extend to a straight line and if you drop it on the floor, it will take on a unique shape. Unlike metal chains that are made of identical links, proteins are made of 20 different amino acids that each have their own unique properties (different shapes, and attractive and repulsive forces, for example), and in combination, the amino acids exert forces on the chain to make it take on a specific shape, which we call a “fold.” The order in which the amino acids are linked determines the protein’s fold. There are many kinds of proteins that vary in the number and order of their amino acids. Start with a fully unfolded chain (like a metal chain with its ends pulled). Move a part of the chain to create a new shape. Calculate the energy of the new shape. Accept or reject the move depending on the change in energy. Repeat 2 through 4 until every part of the chain has been moved a lot of times. We call this a trajectory. The end result of a trajectory is a predicted structure. Rosetta keeps track of the lowest energy shape found in each trajectory. Each trajectory is unique, because the attempted moves are determined by a random number. They do not always find the same low energy shape because there are so many possibilities. A trajectory may consist of two stages. The first stage uses a simplified representation of amino acids which allows us to try many different possible shapes rapidly. This stage is regarded as a low resolution search and on the screen saver you will see the protein chain jumping around a lot. In the second stage, Rosetta uses a full representation of amino acids. This stage is refered to as “relaxation.” Instead of moving around a lot, the protein tries smaller changes in an attempt to move the amino acids to their correct arrangment. This stage is regarded as a high resolution search and on the screen saver, you will see the protein chain jiggle around a little. Rosetta can do the first stage in a few minutes on a modern computer. The second stage takes longer because of the increased complexity when considering the full representation (all atoms) of amino acids. Your computer typically generates 5-20 of these trajectories (per work unit) and then sends us back the lowest energy shape seen in each one. We then look at all of the low energy shapes, generated by all of your computers, to find the very lowest ones. This becomes our prediction for the fold of that protein. To join this project, download and install the BOINC software on which it runs. Then attach to the project. While you are at BOINC, look at some of the other projects to see what else might be of interest to you. Searching for the precise, complexly folded three-dimensional structure of a protein can be like hacking through a jungle without a map: a long, intensive process with uncertain direction. 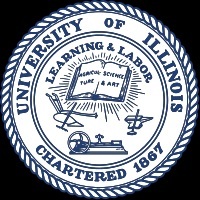 University of Illinois researchers developed a new approach, dubbed COMPASS, that points directly to a protein’s likely structure using a combination of advanced molecular spectroscopy techniques, predictive protein-folding algorithms and image recognition software. 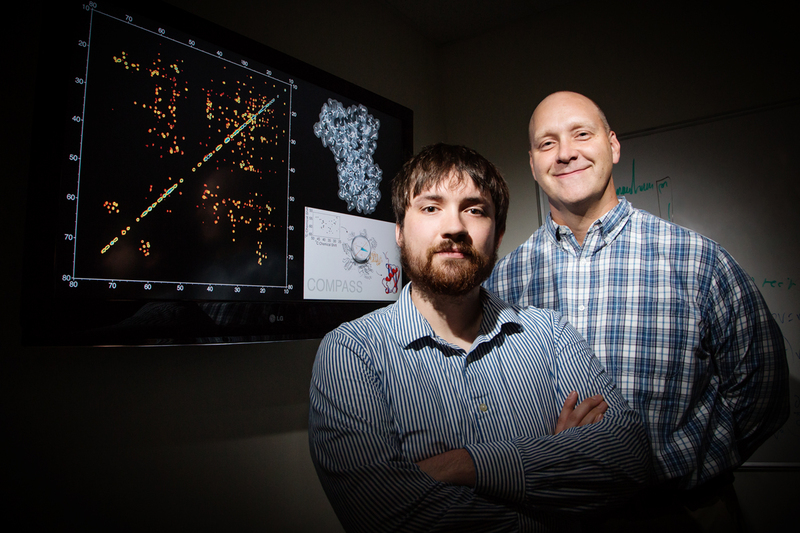 Led by U. of I. chemistry professor Chad Rienstra, the team published its results in the journal Structure. 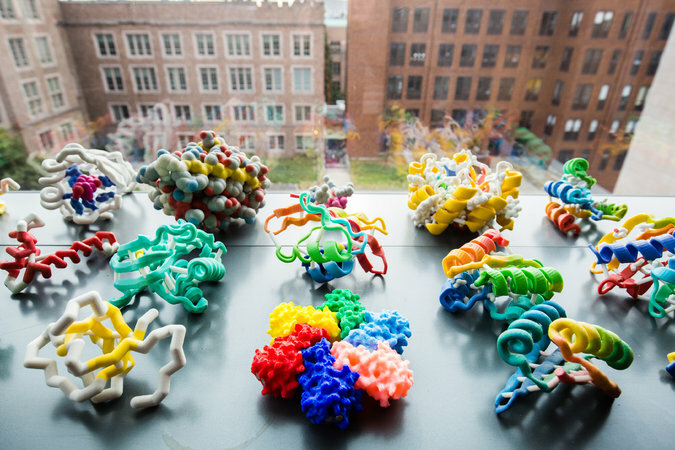 Proteins carry out functions within the cell, and those functions are determined by the proteins’ precise structures – the way they fold and twist into an intricate three-dimensional shape. 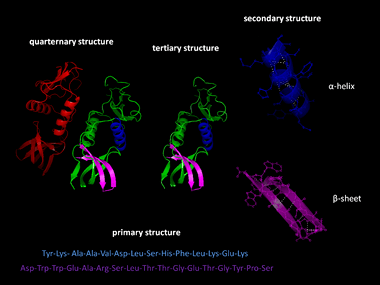 One key method for determining a protein’s share is a technique called X-ray crystallography. However, many medically interesting proteins – for example, the fibrils that characterize Parkinson’s disease – do not form crystals, so researchers have turned to more advanced spectroscopic techniques. Those techniques require months to years of intensive data collection and analysis, taking numerous readings and measurements of the protein’s spectrum. 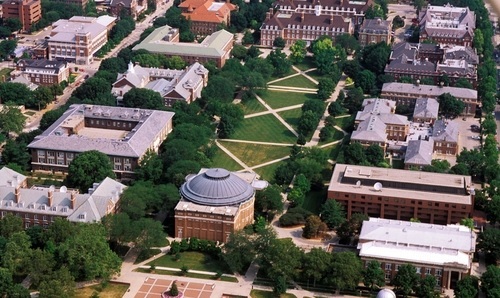 For COMPASS, the researchers rely on a single spectrum measurement using a spectroscopic technique called nuclear magnetic resonance, which gives a molecular “fingerprint” – no two protein structures have the same spectrum. The COMPASS platform looks at the possible structures generated by the predictive models, projects a spectrum for each one, and uses advanced image-recognition software to compare each projected spectrum with the spectrum collected from the experimental sample. “We call it COMPASS because we’re using a magnetic field to hopefully point us in the right direction of which protein structure is the right one out of all these options,“ Rienstra said. Multiple RNA sequences can code for the same amino acid, but differences in their respective “optimality” slow or accelerate protein translation. Stanford biologists find optimal and non-optimal codons are consistently associated with specific protein structures, suggesting that they influence the mysterious process of protein folding. “Your average musical melody doesn’t chug along at a single, mechanical speed. It mixes whole notes, quarter notes, sixteenth notes and so on to lay out a specific, complex rhythm. It looks like protein synthesis may work the same way. 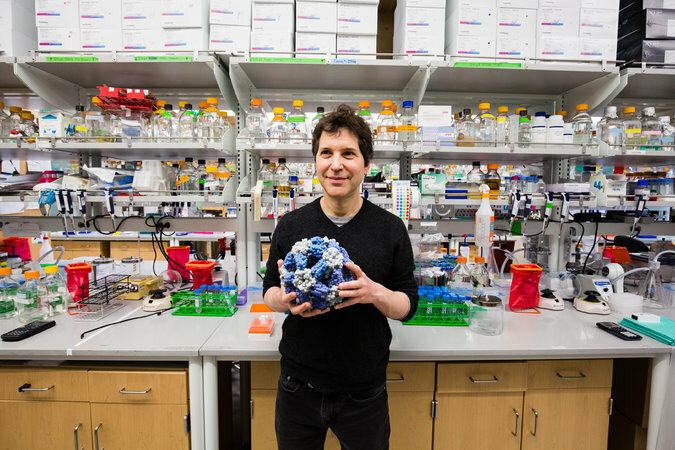 …Research from Stanford biology Professor Judith Frydman and researcher Sebastian Pechmann now reveals that this protein synthesis “rhythm” may be evolutionarily adjusted to control the folding of the new protein chain as it emerges from the ribosome. The finding may explain how RNA sequences define the final, folded form of a protein – a fundamental problem in molecular biology, since proteins need to fold in order to function. 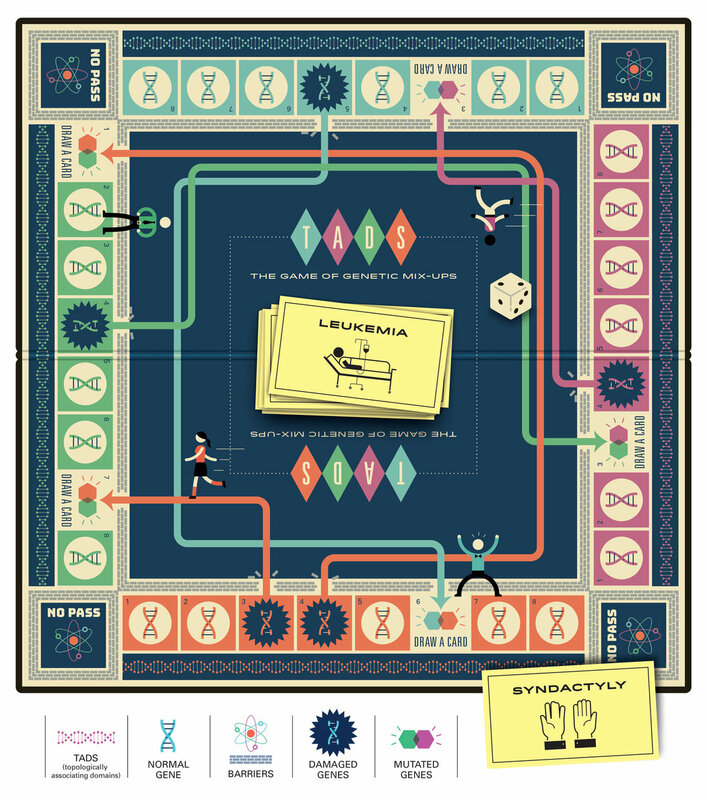 Published online in advance of print last month in the journal Nature Structural and Molecular Biology, the paper analyzes 10 closely related yeast species as a model. Both fast (“optimal”) and slow (“non-optimal”) codons are evolutionarily conserved, consistently appearing in particular parts of the mRNA transcript, where they appear to strategically slow down or speed up translation. 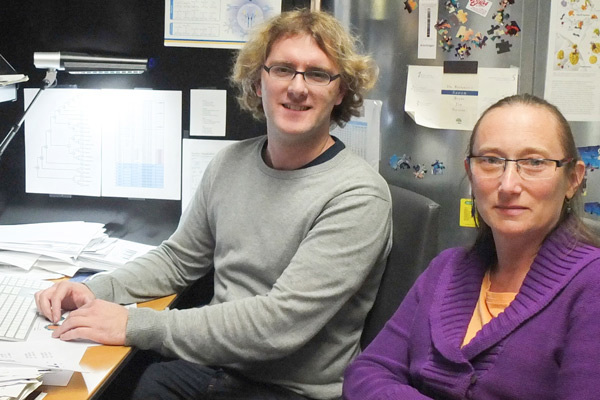 Researchers Sebastian Pechmann and Judith Frydman. No image credit. 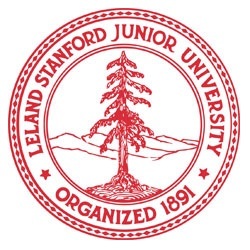 Both researchers are affiliated with the Stanford Bio-X program. I thought the folding of a protein was based on the interactions of the R-group of amino acids, which would be determined by the sequence of codons. I know that more than one codon and code for a specific AA, but I don’t see how those different codons could affect the folding of the protein in a way that would be any different than if a different codon that codes for the same AA was being used. Thoughts? keep it wise. I can’t wait to read far more from you. This is actually a great website.